Undergraduate studies in Biochemistry and Physiology at the University of Reading (1987-1990). MRC PhD studentship position at the Institute of Obstetrics and Gynaecology, Royal Postgraduate Medical School (University of London now Imperial College School of Medicine) (1990-1993). PhD in Biochemistry OUTPUTS. Research Fellow in the Department of Medicine at University College London Medical School (1993-1995). OUTPUTS. Research Lecturer at the UCL Eastman Dental Institute in December 1995 to develop the themes of craniofacial regeneration and repair. Promoted to Senior Lecturer in July 2002, Reader in Cell Biology in July 2007. Appointed to a Chair in Exercise Biochemistry and Cell Biology and established the Muscle Cellular and Molecular Physiology Research Group in the Institute for Sport and Physical Activity Research in Bedford in September 2009 to December 2011. Appointed to Head of Department of Sport and Exercise Sciences, University of Bedfordshire (September 2009 to December 2011). Appointed to Honorary Professor at the UCL School of Life and Medical Sciences in October 2009. Appointed to Visiting Professor in Musculoskeletal Biology Research Group, School of Sport, Exercise and Health Sciences, Loughborough University (October 2010 to December 2011). Appointed to Visiting Professor in Cranfield Health, Cranfield University in October 2010. Appointed to Professor of Musculoskeletal Biology, School of Sport, Exercise and Health Sciences, Loughborough University (January 2012). Expertise is the design and development of in vitro systems that are as much “like” the actual tissue as possible. The approaches that have been taken are those common in regenerative medicine such as cell transplantation and tissue engineering. The major area here is the musculoskeletal system esp. skeletal muscle although I have also published in ligament/tendon and bone. In the skeletal muscle systems (muscle cellular and molecular physiology), the ability to stimulate the tissue engineered constructs either electrically or mechanically is critical. The ability to do this of course then lends itself well to studies of exercise physiology. There is a portfolio of work in this area currently studying hypertrophy, training regimes, effects of steroids, aging, responses to hypoxia, species and anatomical differences, muscle derived stem cells and interactions with the nervous system. There is significant overlap with the work above and that in sports medicine. The musculoskeletal work is one part of that however I also work in the wider area of what I term biomedicine of sport. I have a programme of work that looks at how tissue damaged during physical activity can be effectively repaired. This includes skin and related tissues and bone. Again, tissue engineered constructs are widely used whilst application tends to be focussed on cell therapy. In this regards, I have acted as scientific consultant to three different biotechnology companies providing expert opinion on biological and technical questions relating to various regenerative medicine processes and products. Visiting Professor, Institute of Sport and Physical Activity Research (ISPAR) Bedford, University of Bedfordshire. Visiting Professor, School of Life and Medical Sciences, University College London. Visiting Professor, Cranfield Health, Cranfield University. Executive Editor (2010 to current), Biotechnology Letters. Elected member of the Tissue and Cell Engineering Society Management Committee (Treasurer, 2008 to date). Elected member of the EPSRC Peer Review College. Grant Review for BBSRC, EPSRC, MRC, SFI (Science Foundation, Ireland), EFFORT, NC3Rs, British Lung Foundation, Action Medical Research, European Orthodontic Society, Scottish Executive Health Department and The Wellcome Trust. 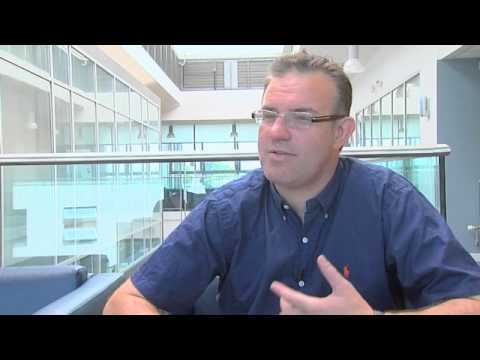 External examiner for the MSc Exercise Physiology, University of Chichester (2010 to 2014). Tissue and Cell Engineering Society (TCES), Leeds University, UK (2011) From Jaws to Jumpers: Bioengineered skeletal muscle and its applications from surgery to exercise physiology – Keynote Presentation. Leeds Metropolitan University, Carnegie Seminar Series, UK (2011) – ExPhys 2.0: biotechnology "meats" exercise science. The School of Clinical Dentistry, Seminar Series, The University of Sheffield, UK (2010) – From Jaws to Jumpers: bioengineered skeletal muscle and its applications from surgery to exercise physiology. ATES, K., YANG, S. Y., ORRELL, R. W., SINANAN, A. C. M., SIMONS, P., SOLOMON, A., BEECH, S., GOLDSPINK, G. & LEWIS, M. P. 2007. The IGF-I splice variant MGF increases progenitor cells in ALS, dystrophic, and normal muscle. Febs Letters, 581, 2727-2732. BRADY, M. A., LEWIS, M. P. & MUDERA, V. 2008. Synergy between myogenic and non-myogenic cells in a 3D tissue-engineered craniofacial skeletal muscle construct. Journal of Tissue Engineering and Regenerative Medicine, 2, 408-417. CARLQVIST, K. H., LEWIS, M. P., HUNT, N. P. & SHAH, R. 2010. Regeneration of Jaw Muscle—Potential Cellular Mechanisms. Seminars in Orthodontics, 16, 147-152. HARZER, W., MARICIC, N., GEDRANGE, T., LEWIS, M. P. & HUNT, N. P. 2010. Molecular Diagnosis in Orthodontics, Facial Orthopedics, and Orthognathic Surgery: Implications for Treatment Progress and Relapse. Seminars in Orthodontics, 16, 118-127. MOAWAD, H. A., SINANAN, A. C., LEWIS, M. P. & HUNT, N. P. 2011. Grouping patients for masseter muscle genotype-phenotype studies. Angle Orthod. MUDERA, V., SMITH, A. S. T., BRADY, M. A. & LEWIS, M. P. 2010. The Effect of Cell Density on the Maturation and Contractile Ability of Muscle Derived Cells in a 3D Tissue-Engineered Skeletal Muscle Model and Determination of the Cellular and Mechanical Stimuli Required for the Synthesis of a Postural Phenotype. Journal of Cellular Physiology, 225, 646-653. MULHALL, H., PATEL, M., ALQAHTANI, K., MASON, C., LEWIS, M. P. & WALL, I. 2011a. Effect of capillary shear stress on recovery and osteogenic differentiation of muscle-derived precursor cell populations. Journal of Tissue Engineering and Regenerative Medicine, 5, 629-635. PASSEY, S., MARTIN, N., PLAYER, D. & LEWIS, M. P. 2011. Stretching skeletal muscle in vitro: does it replicate in vivo physiology? Biotechnol Lett, 33, 1513-21. PATEL, M., MULHALL, H., AL-QUATANI, K., LEWIS, M. & WALL, I. 2011. Muscle-derived precursor cells isolated on the basis of differential adhesion properties respond differently to capillary flow. Biotechnology Letters, 33, 1481-1486. SCULTHORPE, N., SOLOMON, A. M., SINANAN, A. C. M., BOULOUX, P. M. G., GRACE, F. & LEWIS, M. P. 2011. Androgens affect myogenesis in vitro and increase local IGF-1 expression. Medicine & Science in Sports & Exercise. SHAH, R. & LEWIS, M. P. 2010. The Future? Craniofacial Skeletal Muscle Engineering as an Aid for the Management of Craniofacial Deformities. Seminars in Orthodontics, 16, 153-162. SHARPLES, A. P., AL-SHANTI, N., LEWIS, M. P. & STEWART, C. E. 2011. Reduction of myoblast differentiation following multiple population doublings in mouse C2 C12 cells: a model to investigate ageing? Journal of cellular biochemistry, 112, 3773-85. SINANAN, A. C. M., MACHELL, J. R. A., WYNNE-HUGHES, G. T., HUNT, N. P. & LEWIS, M. R. 2008. alpha v beta 3 and alpha v beta 5 integrins and their role in muscle precursor cell adhesion. Biology of the Cell, 100, 465-477. SMITH, A. S., PASSEY, S., GREENSMITH, L., MUDERA, V. & LEWIS, M. P. 2011. Characterisation and optimisation of a simple, repeatable system for the long term in vitro culture of aligned myotubes in 3D. J Cell Biochem. SMITH, A. S. T., SHAH, R., HUNT, N. P. & LEWIS, M. P. 2010. The Role of Connective Tissue and Extracellular Matrix Signaling in Controlling Muscle Development, Function, and Response to Mechanical Forces. Seminars in Orthodontics, 16, 135-142. BHADAL, N., WALL, I. B., PORTER, S. R., BROAD, S., LINDAHL, G. E., WHAWELL, S. & LEWIS, M. P. 2008. The effect of mechanical strain on protease production by keratinocytes. British Journal of Dermatology, 158, 396-398. BITAR, M., SALIH, V., KNOWLES, J. C. & LEWIS, M. P. 2008. Iron-phosphate glass fiber scaffolds for the hard-soft interface regeneration: The effect of fiber diameter and flow culture condition on cell survival and differentiation. Journal of Biomedical Materials Research Part A, 87A, 1017-1026. KAZMI, B., INGLEFIELD, C. J. & LEWIS, M. P. 2009. Autologous Cell Therapy: Current Treatments and Future Prospects. Wounds-a Compendium of Clinical Research and Practice, 21, 234-242. KURTULUS, I., KAZMI, B., LEWIS, M. P., SOLAKOGLU, S., SCHUSTER, V., SCULLY, C., GOKBUGET, A. & WAHL, G. 2011. Altered functional activity patterns of fibroblasts related to periodontitis by systemic plasminogen deficiency (ligneous periodontitis). Quintessence International, 42, 601-609. MOUTASIM, K. A., JENEI, V., SAPIENZA, K., MARSH, D., WEINREB, P. H., VIOLETTE, S. M., LEWIS, M. P., MARSHALL, J. F., FORTUNE, F., TILAKARATNE, W. M., HART, I. R. & THOMAS, G. J. 2011. Betel-derived alkaloid up-regulates keratinocyte alphavbeta6 integrin expression and promotes oral submucous fibrosis. Journal of Pathology, 223, 366-377. MULHALL, H. J., LABEED, F. H., KAZMI, B., COSTEA, D. E., HUGHES, M. P. & LEWIS, M. P. 2011b. Cancer, pre-cancer and normal oral cells distinguished by dielectrophoresis. Analytical and Bioanalytical Chemistry, 401, 2455-2463. RETZEPI, M., LEWIS, M. P. & DONOS, N. 2010. Effect of diabetes and metabolic control on de novo bone formation following guided bone regeneration. Clinical Oral Implants Research, 21, 71-79. WALL, I. B., BHADAL, N., BROAD, S., WHAWELL, S. A., MUDERA, V. & LEWIS, M. P. 2009. Force generation and protease gene expression in organotypic co-cultures of fibroblasts and keratinocytes. Journal of Tissue Engineering and Regenerative Medicine, 3, 647-650. Hughes, D., Sculthorpe, N., Lewis, M.P. (2011). Molecular Aspects of Testosterone. in Grace, F. (ed.) Steroids. In preparation. Lewis, M.P. (2011). Masticatory Muscles: Structure and Function. in McLoon, L., Andrade, F., (ed.) Craniofacial Muscles: A New Framework for Understanding the Effector Side of Craniofacial Muscle Control. Springer. In preparation. Lewis, M.P. (2011). Fundamentals of cell and matrix biology. in Salih, V. (ed.) Standardisation in Cell and Tissue Engineering: Methods and protocols. Woodhead Publishing Limited. In preparation. Lewis,M.P., Mudera,V., Cheema,U, Shah,R. (2009). Muscle Tissue Engineering. in Meyer,U., Meyer, Th., Handschel,J., Wiesmann,H.P., (ed.) Fundamentals of Tissue Engineering and Regenerative Medicine. Heidelberg: Springer. pp. 243-254. Mudera,V., Cheema,U., Shah,R., Lewis,M. (2008). Improving biomaterials in tendon and muscle regeneration. in Di Silvio,L. (ed.) Cellular Response to Biomaterials. Cambridge: Woodhead Publishing Limited. ISBN: 1 84569 358 2.